Now Available on DVD and on streaming services! 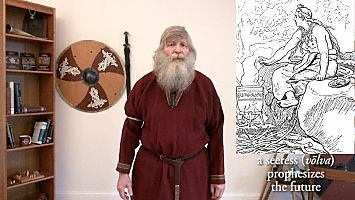 The brutal reality of Viking-age fighting brought to life. 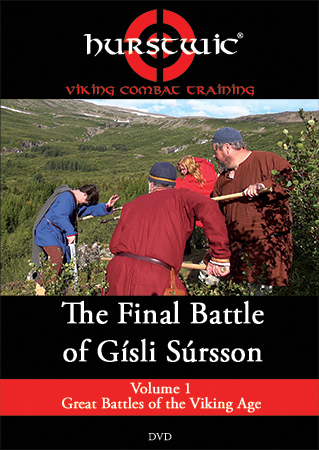 This DVD shows you the Viking-age battle in which the saga hero Gísli Súrsson single-handedly faced 15 armed men. Not a re-enactment, nor a dramatization, this DVD brings the battle to life in the actual place where the historical battle occurred, standing in the footsteps of the men and women who fought there over 1000 years ago. The fighting moves depicted are taken directly from the pages of the sagas. Without context, the battle would be incomprehensible, and so we've gathered a group of experts to analyze and discuss what led up to the battle. 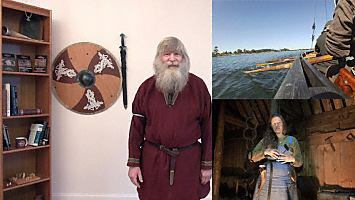 Numerous special-feature chapters make up the bulk of the DVD and discuss Vikings, their weapons, beliefs, mindset, ships, weapons, blacksmithing, poetry, clothing, houses, and others. 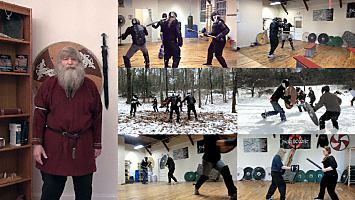 Regardless of your interests, whether they be Vikings, Norse mythology, medieval literature, history, or martial arts, you'll find something new and interesting on this DVD. The DVD may also be ordered now from Amazon, and from other vendors and shops. Retailers, clubs, and schools: please contact Hurstwic directly for wholesale and quantity pricing. International Customers: The DVD is also available in the PAL format. Continue Shopping for Hurstwic merchandise. Check out our behind-the-scenes photo album while we were on location in Iceland to shoot the DVD. 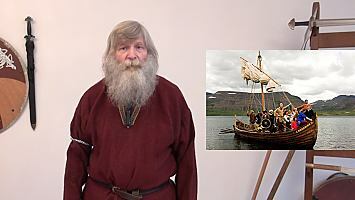 Was Gísli a Viking? Well, no. And yes. These stories are perhaps our most important source of information about Viking-age people, their culture and society, and importantly about their mindset, the unwritten rules that guided their behavior. Without a knowledge of the sagas, it will be hard to understand the Vikings. What beliefs guided the behavior of Viking-age people in battle, and in everyday life? Other powerful forces were thought to shape peoples' lives in the Viking age. This chapter summarizes the story of Gísli's life to give you a sense for how fate, luck, magic, and honor drove Gísli to his doom, fighting against overwhelming odds to the death. The features of the landscape depicted in the saga are still easily visible, despite more than 1000 years having passed since the battle took place. 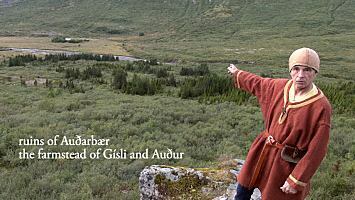 The important sites in the valley are pointed out by Þórir, who has walked in Gísli's footsteps countless times. Gísli's fight to the death against Eyjólfur and 14 of his men is brought to life on the screen, shot on location where the fight took place and in the footsteps of the men and women who fought there. While the saga describes only some of the fighting moves in detail, all of the moves shown in this chapter represent realistic Viking-age fighting moves taken from the pages of the sagas. What might Gísli's sea voyages have been like? 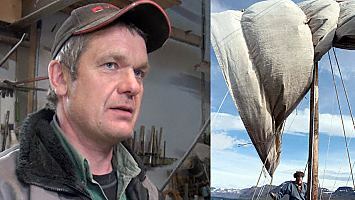 Valdimar expresses his opinion, based on his experiences building and sailing the replica Viking ship Vésteinn. 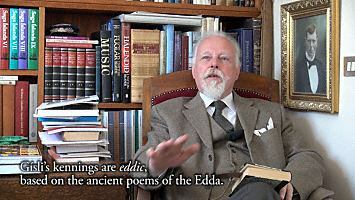 In the Viking age, poetry was considered one of the highest of the arts, a gift from Óðinn, the highest of the gods. 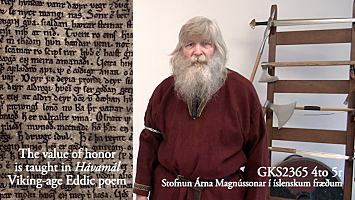 Gísli composed and recited many verses in the saga, and Geir helps us undertand the complexities of Viking-age poetry. Weapons played a central role in Viking culture. 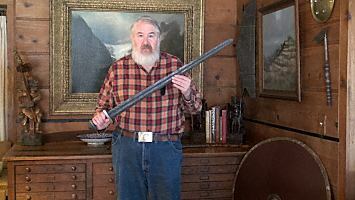 Lee, an expert on Viking weapons, uses historical Viking-age examples to show us the kinds of weapons used by Gísli, Eyjólfur, and his men in their battle. The broken sword Grásíða was reforged into a spear and used by Gísli to kill Þorgrímur. 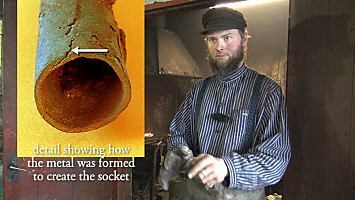 Birkir tells us how that work might have been accomplished in a Viking-age smithy. 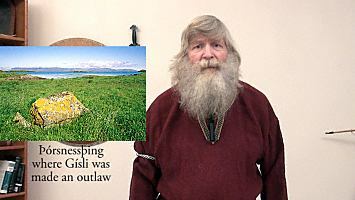 What might Gísli and Auður's home in Geirþjófsfjörður have looked like, and what was life like in the house? 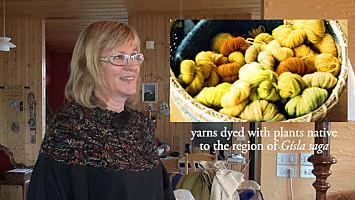 Arena tells us about life in a Viking-age longhouse. Auður’s long clothing left a track in the frost that Eyjólfur followed to find Gísli. 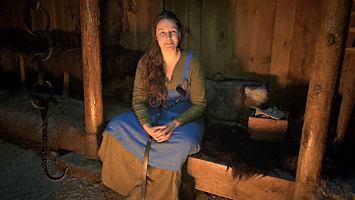 Borgný tells us about women’s clothing in the Viking age, and how those clothes might have left a track that revealed the path to their hideout. 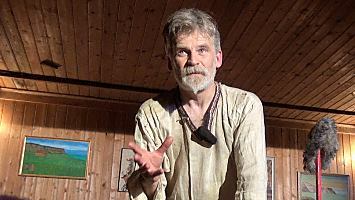 Elfar has performed his one-man show based on Gísla saga many hundreds of times for Icelanders and foreigners alike. Why does this saga have such universal and enduring appeal? 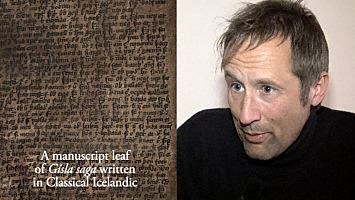 Students come each summer to the University Centre of the Westfjords in order to study Gísla saga, as well as both modern and classical Icelandic languages. Why do students have so much interest in these topics that they would travel here from around the globe to study? 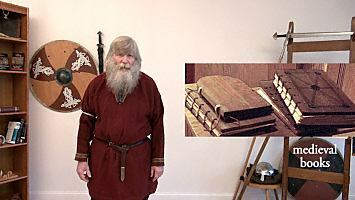 The Viking people left little behind to teach us how they fought and used their weapons. How does Hurstwic do their research in this field and form their conclusions about how Gísli, Eyjólfur, and his men fought? 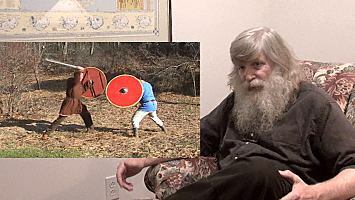 In this final chapter, we tell you how you can learm more about the topics discussed in this DVD: more about the sagas, about Gísla saga, and about how Vikings fought and used their weapons. The DVD may be ordered now from Amazon, and from other vendors and shops. Continue shopping for other Hurstwic merchandise.